Sundays Off Pools is a Minneapolis area pool lighting company offering pool lighting sales, installation and repair services. Owning a home swimming pool can be a great asset, and adding lighting is a great way to increase the value of your investment. Even if you have lighting already, it’s always a great idea to change the bulbs and adjust the ambiance in and around your pool. Lights can always be installed at your pool, though its usually easier to have it done during the construction or renovation of the pool itself. Pool lighting adds value to your pool in several ways. 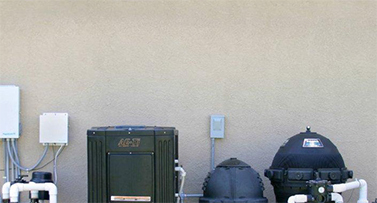 First, it allows you to use your pool at any time of the day or night without any restrictions. The lights will also improve the aesthetics in your pool area, meaning that hosting night time social gatherings becomes more rewarding. Most importantly, lighting adds to the safety of your pool area. Accidents are far less likely when everything is properly lit, especially near steps and handrails. Location – you can decide where in the pool you want your lights installed. Whether you think it best to have them on the pool floor, pool wall, or both, we will be able to install them however you see fit. Each location adds a different lighting affect, so take a look at examples before you make your final decision. 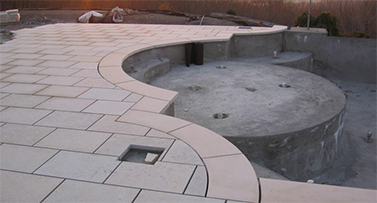 Type of Light – Pool lights come in a variety of colors, sizes and levels of brightness. You want to opt for LED lighting to add a contemporary feel, or install colored lights to add a touch of personal style to your pool area. You may even want to choose a combination of both plain and colored lighting or stock a few different color options in case your mood changes at some point in the future. Whichever lighting options you decide to purchase, we will be able to guide and advise you about the best choice for your pool. A pool service professional is your best resource for light installation. We can advise you about the best lighting options for your particular area. Our Minnesota pool lighting company serves the entire Minneapolis area, including communities such as Brooklyn Park, Plymouth, Golden Valley, and Maple Grove.